Ever since having my baby, almost all of my meals are eaten on the go. 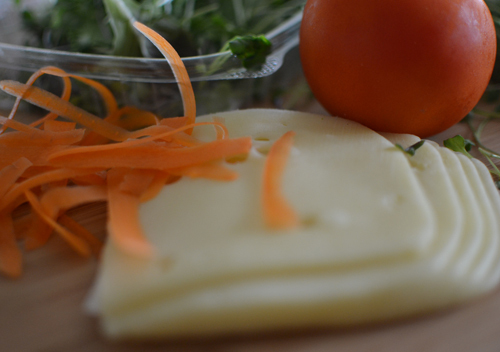 Often times I find it challenging to find foods that are healthy, satisfying and quick to prepare. 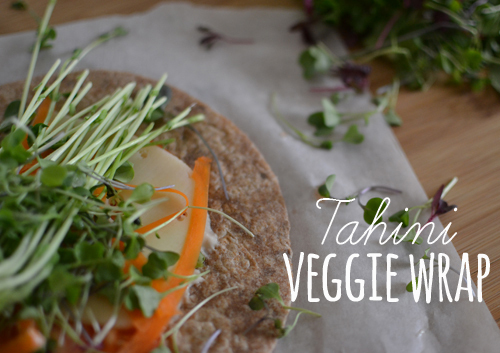 Enter the Tahini veggie wrap. 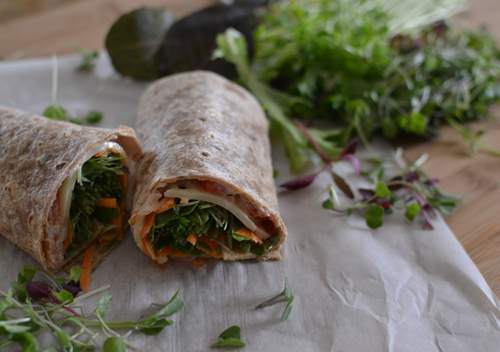 There's nothing particularly special about this wrap, other than it's super healthy and can be made with just about any vegetable of your choice*. Instead of adding sliced turkey, I decided to add a slice of cheese for extra protein and calcium. 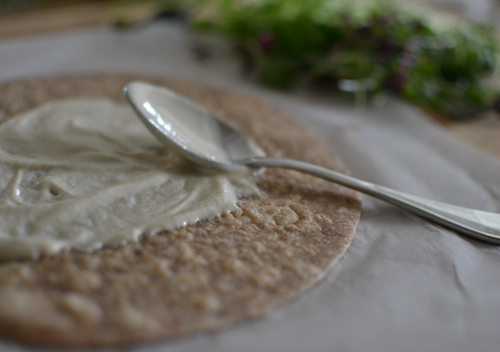 I LOVE Tahini and personally think that it's a much tastier alternative to traditional mayo or mustard. This look delicious! Thanks for sharing! That looks so delicious! I will definitely be trying this. Look so good, I love Tahini!